A couple of weeks ago I was out searching for a Snowy Egret that had been sighted along the river where I monitor birds for the forest preserve. After several hours and no sign of the bird, I gave up. 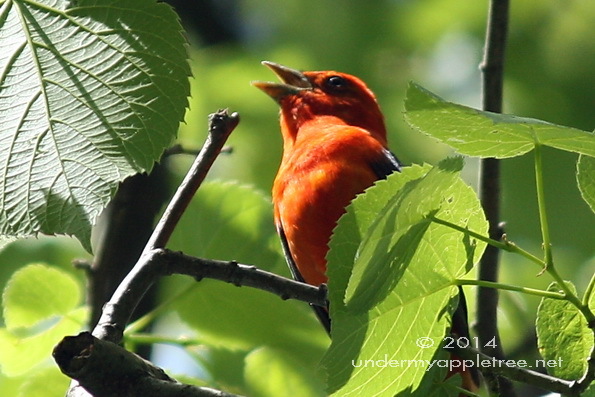 As I was walking along the trail back to my car, I heard a male Scarlet Tanager singing directly above me. During the breeding season, adult males are a gorgeous bright red with black wings and tail. They are slightly smaller than a Cardinal. The females and youngsters are olive-yellow. After breeding, adult males molt to an olive color but retain their black wings and tail. 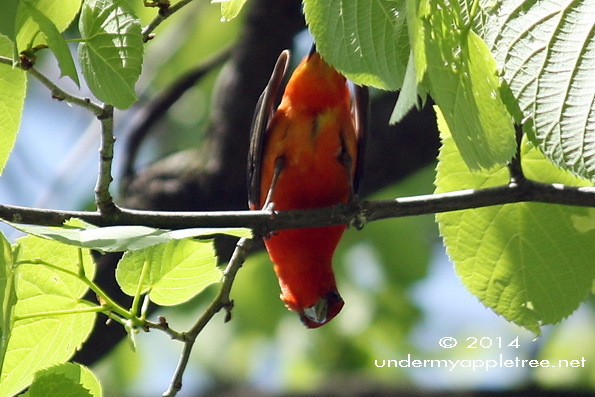 The Scarlet Tanager is usually difficult to find. They prefer to stay high up in the forest canopy, hidden by the leaves. Sometimes I’ll see a flash of red or hear the male’s robin-like song. With a little patience I can usually get a look at the bird, but rarely a photo. This bird wasn’t the most cooperative and kept moving around between the leaves and branches. At one point he twirled upside down and I swear he was looking right at me. Just as he emerged from the leaves and on to an open branch, he was startled away by noisy people walking along the path. I got the last photo as he flew off into the forest. 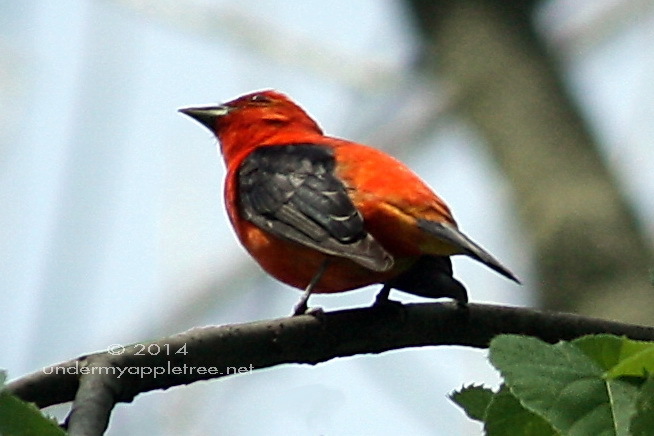 The Scarlet Tanager is a summer resident in the eastern portion of North America. They are long-distance migrants and spend the winter in South America flying at night across the Gulf of Mexico. There they join in a mixed flock of other foraging species and resident tropical tanagers. He looks really cool. I’ll have to keep a closer eye out when I am out as I am probably missing many of these wonderful coloured birds. What a beautiful fellow he is in his red and black costume. And thanks for the link to his song. We live in one of the best birding spots in the US, but I really know nothing about birds. We always see some very cool water birds each morning on our walk. I don’t know what they are. Maybe I need to take my camera along next week! I am a big fan of red birds…and this is a lovely specimen! 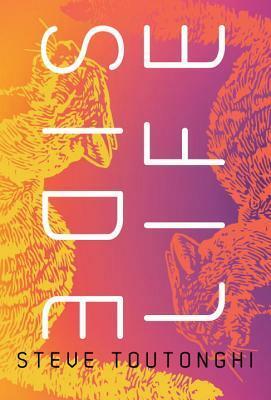 Great shots, and how wonderful that you could capture images of such an elusive bird. Thanks for sharing. Beautiful creature! 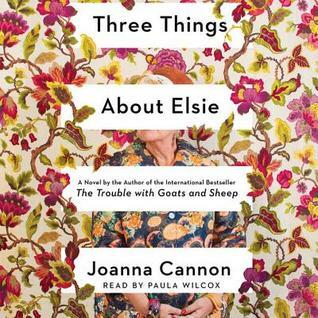 Thanks for the link to the recording of the bird’s song too. Such a delightful post. This week my Saturday Snapshots are of MOUNT RAINIER. What part of the world do you live in? You always have such diverse bird shots. As usual I am very impressed by your photography. I’m in the Midwestern US, in a suburb west of Chicago. I spend a lot of time in the forest preserves. There are quite a few species in this area, but many of them stay in the prairie or the woods – they rarely come to backyards or parks. Oh, he’s gorgeous all dressed up in his finery! So beautiful! 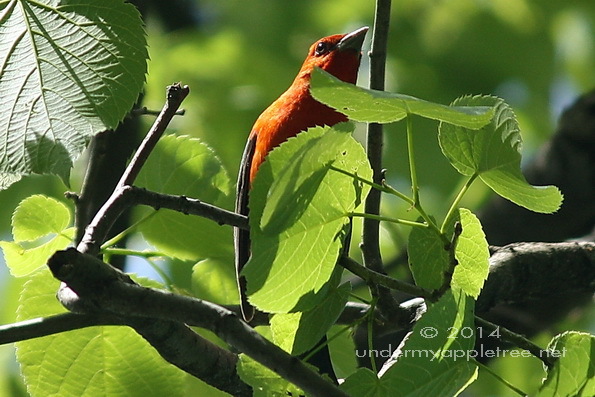 These photos of the The Scarlet Tanager are just gorgeous. So pretty! My husband saw one in our yard, but by the time I came outside the bird was gone. Great captures. Stunning — Not sure I’ve seen one before. Such a gorgeous bird with his striking red and black. If only they weren’t so shy and would stay a little more in the open (for us photographers). Wow! Terrific shots! Those little tanagers ARE reclusive, aren’t they? But what beauties! How pretty! I’ve heard of them, but I’m not sure that I’ve seen one.